Oh, this stuff is so good. After all, it’s made with something called “golden syrup,” whose main ingredients are water, sugar, more water, and even more sugar. What’s not to like. I actually brought this fudge to work, where it was well received, even though many thought the pieces were too big. 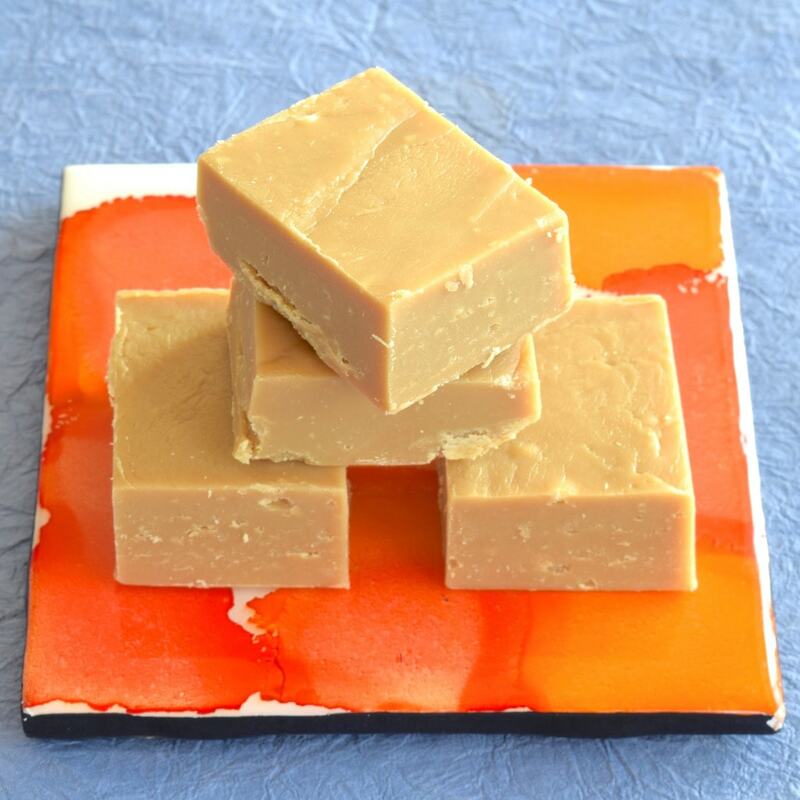 There are actually two recipes here: one for the golden syrup (hard to find in American stores) and the fudge itself. There are many recipes for this online, but the one I used was from createbakemake.com, based on its clarity of writing. So, put your glucometers away and start cooking! Add the 3T water and 0.5-cup sugar to a medium saucepan. Bring to a simmer over medium-ish heat. Let simmer until it turns a caramel color. This step is important, as it’s what makes the syrup “golden.” It seems to take kind of a long time, as in more than 10 minutes. Once the liquid has changed color, add the 1.25 cups of boiling water, followed by the additional 2.5 cups of sugar. Bring back to a simmer. At this point, add the lemon slice to prevent the sugar from crystalizing. Let simmer for about 45 minutes. When it’s done cooking, remove the lemon slice and let cool. 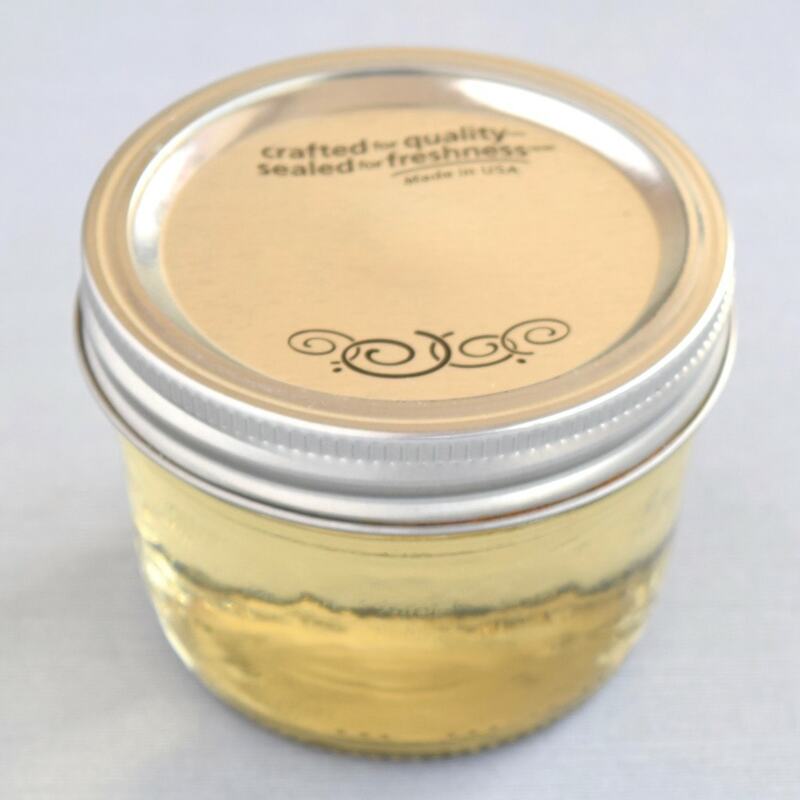 It can be stored in a sterilized—that’s right, sterilized—glass jar. When it cools down enough, drink half of it. Actually, don’t do that. Store it in a cool place, though I’m not sure if the fridge is too cool. It’s probably fine. Note that this is a ton of syrup for needing only 2T of it in the fudge recipe. But I’m sure there are other uses for it that you’ll find online. Here’s a crappy photo of the golden syrup I made for the caramel fudge. Chop up the white chocolate (if not using chips) and set aside. Line the base and sides of a 11 x 7-inch metal or glass baking pan with parchment paper. To a medium saucepan add the butter, golden syrup, condensed milk and brown sugar. Cook over low heat until the mixture has started to thicken and darken. This should take between 10 and 15 minutes, depending on the cooktop temperature setting. Remove from the heat and add the white chocolate, mixing the entire time until the chocolate has melted and incorporated into the fudge. 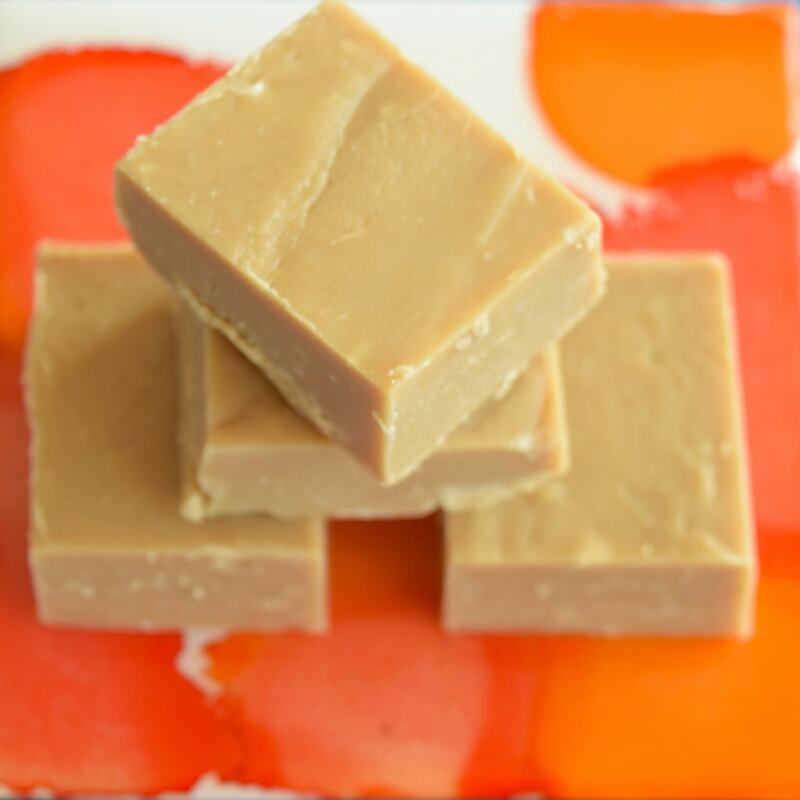 Quickly pour the fudge into the prepared baking sheet and smooth out the surface, however you want to do that. Let cool in the refrigerator for at least 5 hours, then slice into whatever sized pieces you like. When I first tasted it, the fudge was cold, and I was disappointed because it seemed to lack flavor. The key is to serve it at room temperature so the flavor fully comes out.